Graduation Diploma Certificates are among the most lasting representations of academic achievement. These contain pertinent information relating to the academic institution as well as the course that was finished. Using the highest grade materials, each Stock Universal Diploma Certificate and Custom Graduation Diploma Certificate come with the assurance of outstanding quality and workmanship. 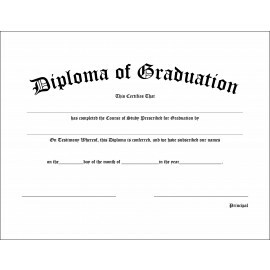 The difference between the stock certificates and custom graduation diploma certificate is that there are blanks fields to be filled in for stock certificates whereas the custom diploma certificate comes complete with all personalized information elegantly printed on the certificate. 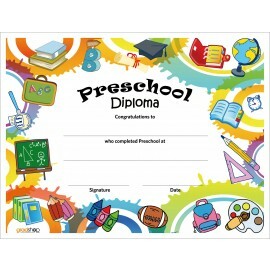 Check out our outstanding Graduation Diploma Certificates and order yours now!